3 powerful Pole Flow techniques: Turn your pole routine into a dance! 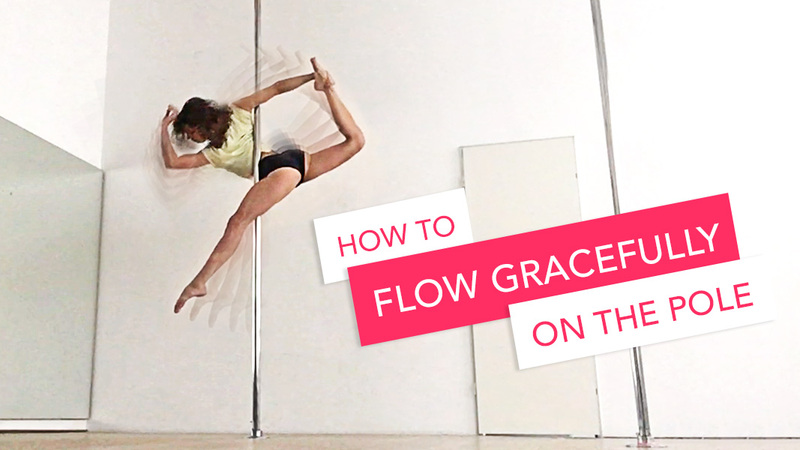 Learn how to create fluid transitions and turn your pole routines into a gracefully looking dance, instead of just a series of tricks. Flow and dance skills don’t come „just with practice“. Advanced pole dance students struggle with it, just as much as beginners. Here’s how you should work on your flow, no matter your level and experience. One thing every pole beginner should know and do to become a successful pole dancer. It will define your pole journey and will save you tons of frustration later. 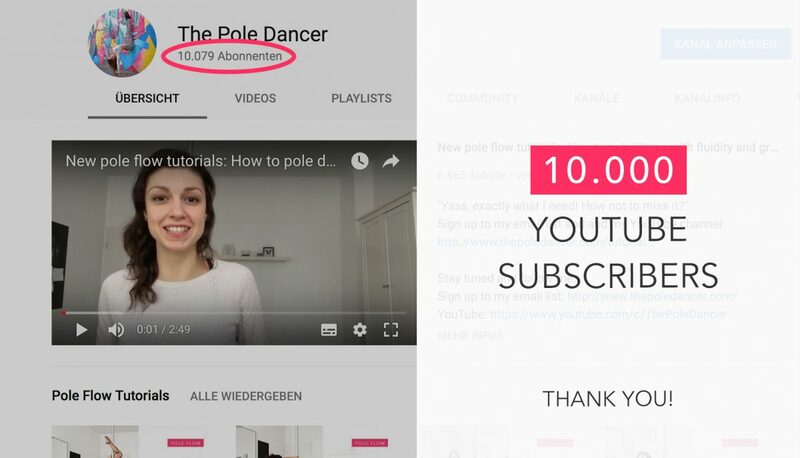 It’s been 1,5 years since The Pole Dancer started, and it hit 10.000 subscribers on YouTube last week! Want to learn how I achieved it? 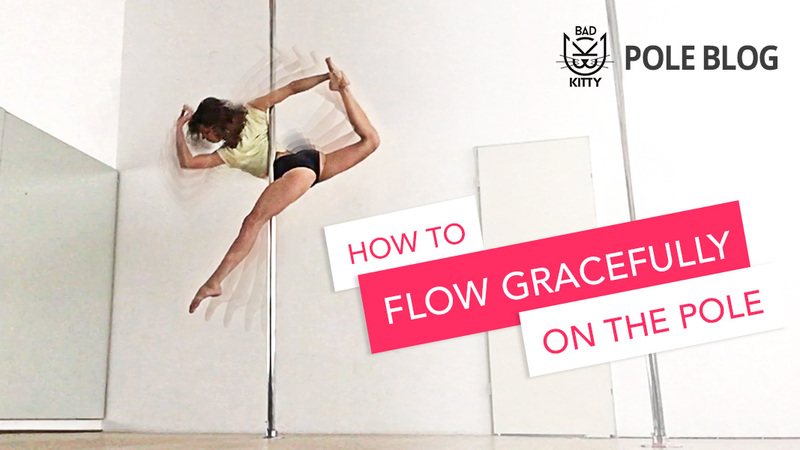 In my guest post for Bad Kitty you’ll learn how to connect moves smoothly and flow gracefully on the pole. Bonus video tutorial at the end of the article. How to turn a single pole move into a whole pole dance routine? 1. Synchronize your dance with the music. 2. Use beautiful spins and shapes to create a seamless transition into a climbing.